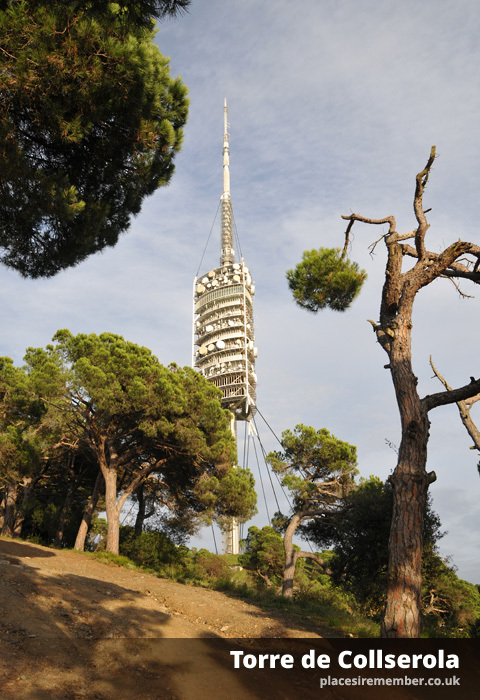 Located on the edges of the Serra de Collserola mountain range that overlooks Barcelona, the Torre de Collserola is amongst the most eye-catching landmarks when visitors arrive into the city by air. 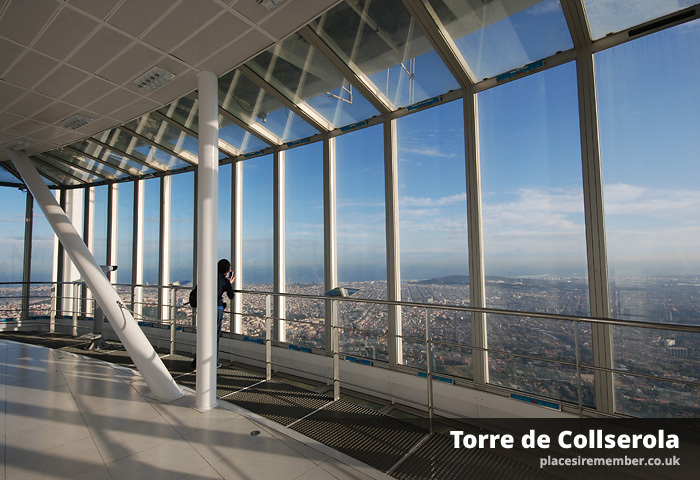 However, of the millions of annual Catalan visitors, only a small number find their way up into the hills to enjoy the panoramic views provided from the tower’s observation deck. Simply getting there is half of the fun, involving a trek along footpaths on the Vilana hill (which forms part of the backdrop to metropolitan Barcelona), hoping not to take a wrong turn whilst on the unsignposted route. Once there, admission is inexpensive and grants a lift ride to the tenth floor, where you can enjoy unobstructed views in every direction. Given the many other elevated attractions within the city such as Montjuic or the Sagrada Familia that offer breathtaking views across the city more accessibly, not everyone will have a desire to go hiking through the hills. But with relatively few people making the journey, it does allow for a less congested way of taking in not only the views over Barcelona, but also its surrounding mountains – including Montserrat. After a visit to the tower, a continuation on the same path will lead back to the winding road towards Tibidabo amusement park. Or alternatively, take a detour and explore the many miles of pathways that exist on the hills – though not without access to a map of the area. The initial stage of the route involves taking the FCG train from Catalunya to Peu del Funicular, then the funicular Valvidrera Superior. From there, turn right when exiting the station, and the adventures on foot can begin! A single adult ticket to the observation deck costs €5,60. Opening hours vary throughout the year, though the tower is closed every day between 1.45pm and 3.30pm. For the latest information, visit the official website: www.torredecollserola.com.